Love using Facebook Messenger? 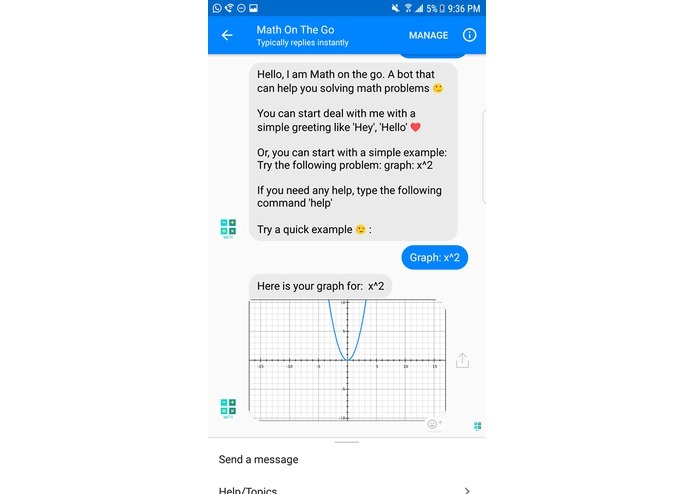 You will love doing your calculations without leaving your lovely Facebook Messenger! 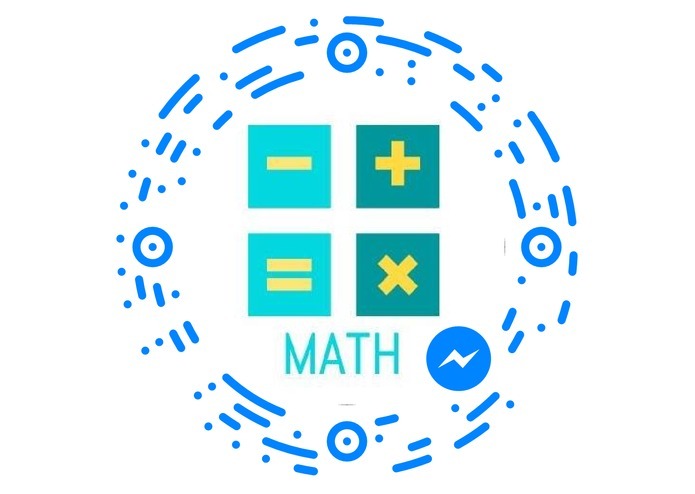 Talk to me on Messenger! We love using our social media. We love text to our friends. 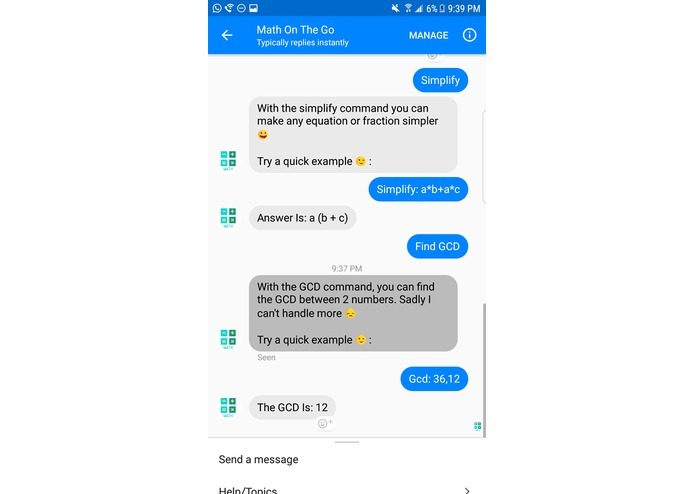 Imagine having a friend who you can send your Math problem and get the answer in seconds? It would be amazing. All of this without leaving social media and without installing any other application. 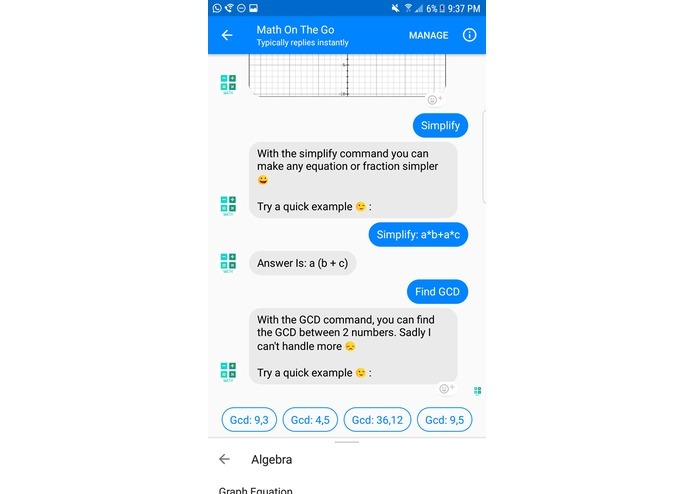 This amazing app helps you to either quick calculate math problems or confirm if your answer is correct. 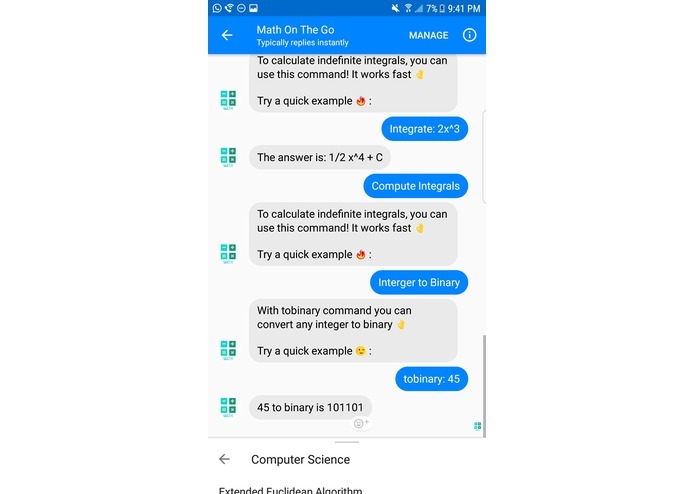 You just need to start a conversation with a messenger bot, and it will help you giving you a list of commands you can use. Trying to differentiate each case where the user wants to do a specific thing. 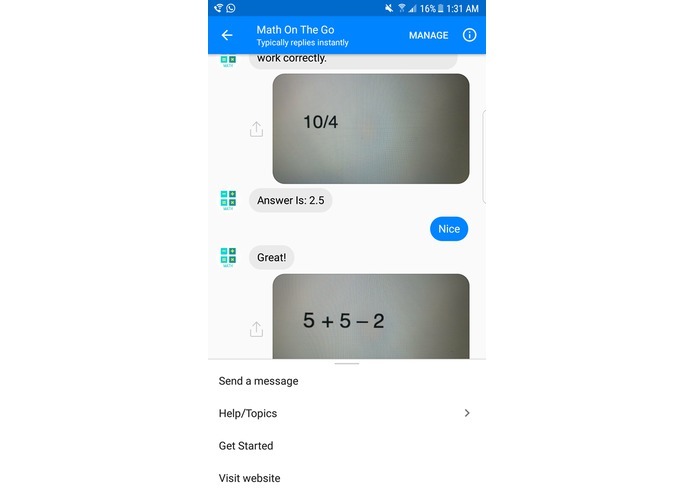 Of course, the limit is the sky, or the galaxy... Also, it was not easy to set up the OCR to recognize text images and calculate the answer right away. 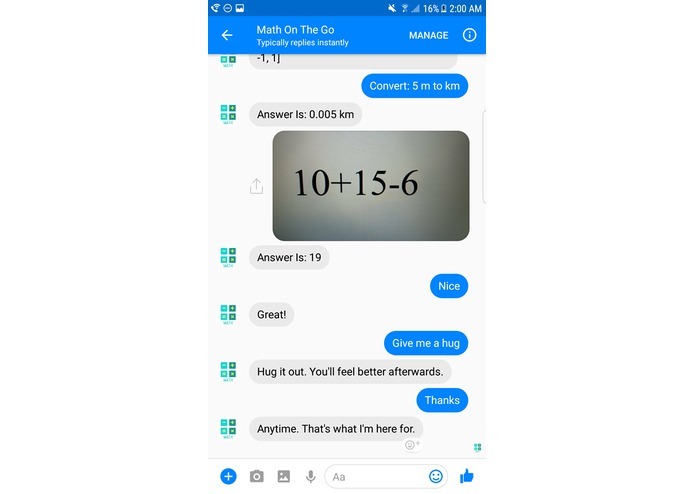 I am proud of developing my first Facebook Messenger bot. 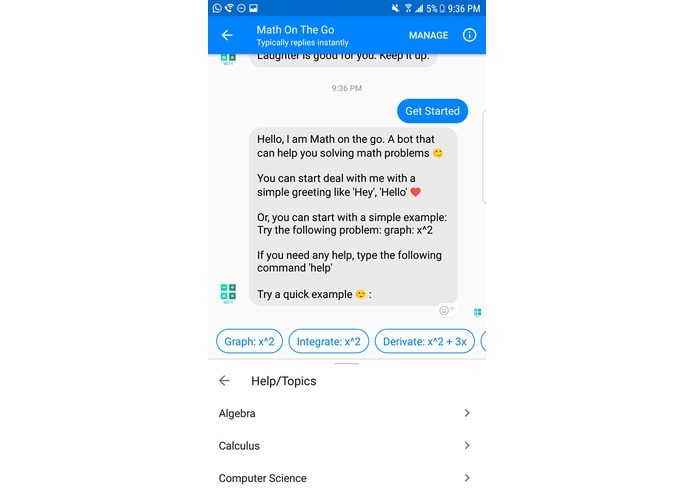 I never thought that this application can help a lot of person who are struggling in Math and can simplify the way to check an answer. 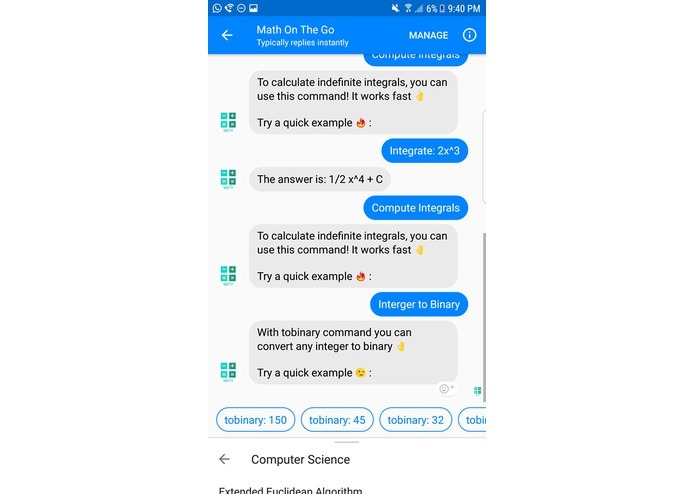 I have learned how to configure a Facebook Messenger bot by doing this app and how to use mathjs library. I also learned that the limit of programming is yourself. If you think you can't do something, is because you have not tried hard. Take in mind that sometimes it will not work because it is still on beta phase. 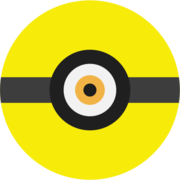 Solve more operations using image recognition! Stay tuned! Check the new video to see all the functions working :) Ignore the fact that the OCR failed in one case hehehe. It is still on beta phase. 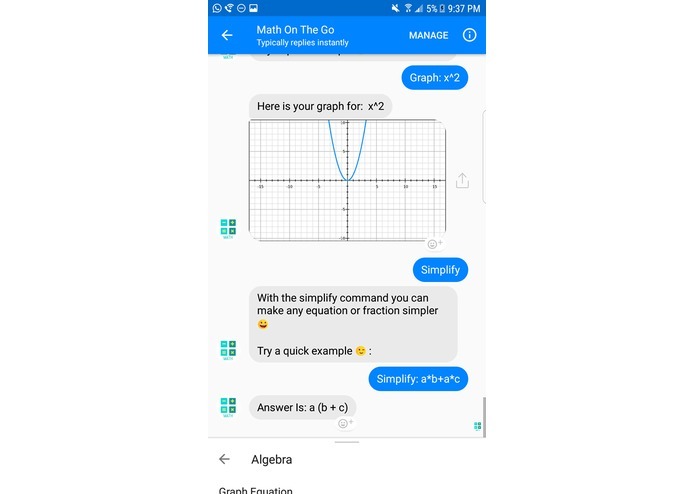 Write in a piece of sheet the following text: graph: x^2, snap it, and check the results. Now the menu is redefined to give the user a better experience with examples of each cases. With this menu, you can get more familiar with the bot. For example, if you want to know the commands, simple! Just go to help, select your topic, and select the command ;) It will tell you what is it used for and examples as a quick responses. So, you can select one of the given examples without typing them! 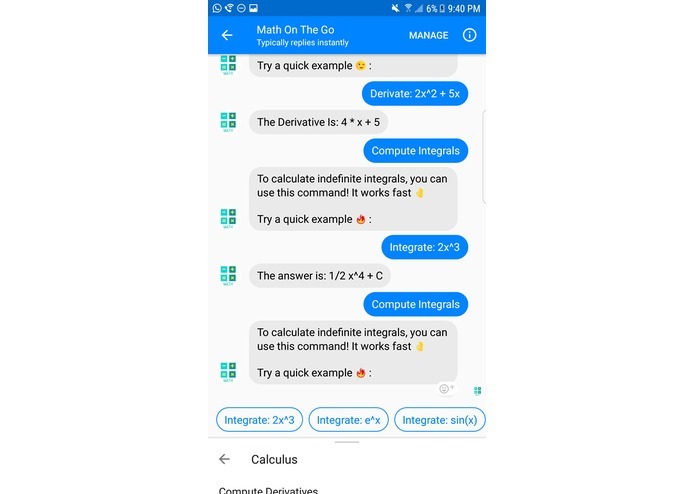 Indefinite integrals are now supported! Stay tuned for definite integrals support! Cheers! 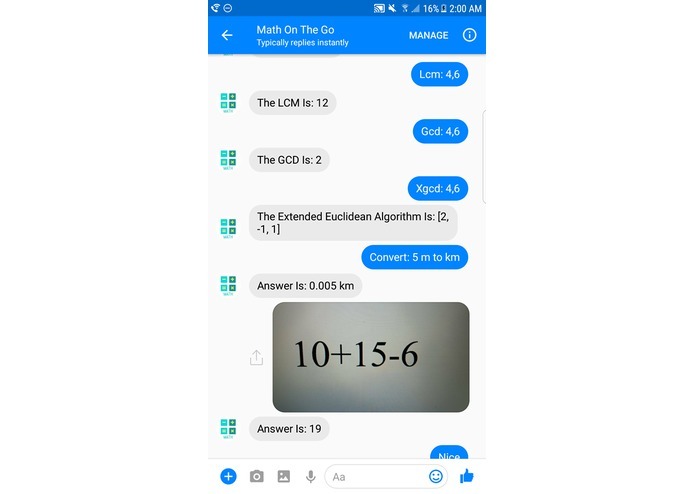 Facebook has approved my bot and now you can test it straight ;) enjoy! 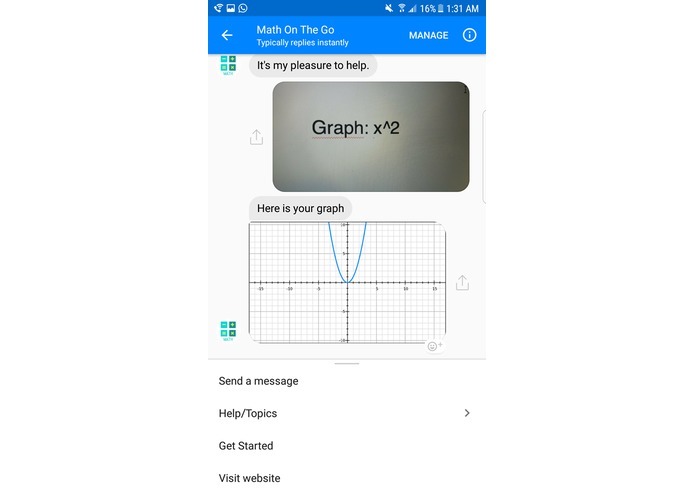 for example, graph: x^2 should send you a parabola.